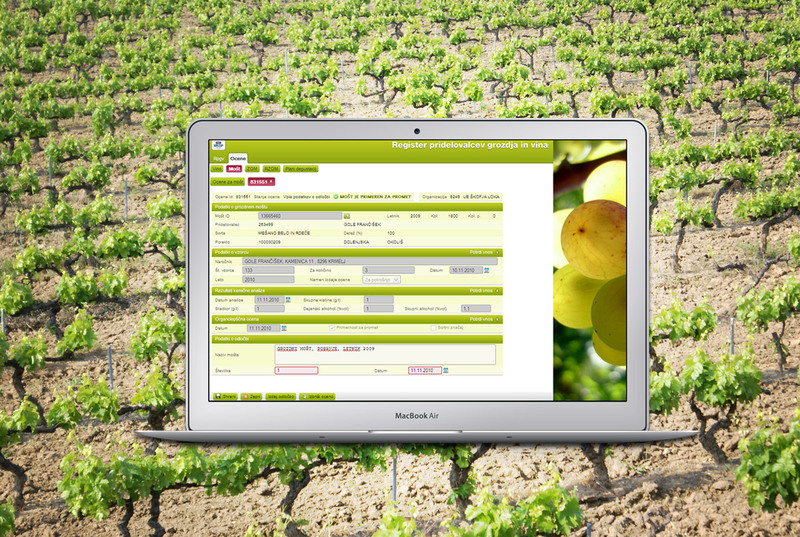 Application provides an effective support for the management of the registry of wine producers and their products, such as grapes, must, and wine. The application also supports the over-viewing and realization of chemical analyses, mixing of different sorts of vine and quality controls. Finally, it provides the certificate of origin, quality and sort, and prepares sale permission. Also, on the bases of all inputted data, the management decrees the permission for renovation of the vineyards to the owners.